The Bible predicts Rapture will be the end of humanity; the Mayans (arguably) set 2012 as the year of our extinction; John Conner knows that Skynet will annihilate our meatbag bodies in 2011. Unfortunately, most of those predictions were prophesized before retail existed. After consumerism became a pillar of modern global society, Black Friday Doorbusters took root and sprouted all across America like malignant tumors, aided primarily by our own radioactive stupidity. Soon, the mentality spread to other major consumer events beyond Black Friday—events like, oh, say, the PS3 release day. So no, humanity's end won't be at the hands of terrorists or plagues. It'll happen one Black Friday, when thousands of morons simultaneously start to riot over the last LCD TV. The sheer amount of idiocy will overload the physics of reality, and all matter will get sucked into a vortex-like Singularity of Dumb. 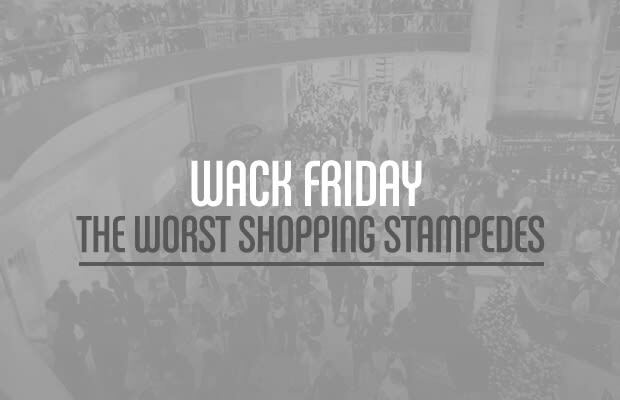 The signs are already there—just take a look for yourself at seven of America's best (read: worst) shopping stampedes.